Labour leader David Shearer joins a long line of headline-seeking politicians wanting NZ to diversify away from what it does best. What is it with our politicians wanting New Zealand to be like other countries? Back in the 1980’s we had David Lange aspiring New Zealand to become the Switzerland of the South Pacific. Then in the 90s Jim Bolger wanted us to all be Asians. Later, Helen Clark decreed Norway as the socialist utopia that we should emulate as a country and even John Key talked about catching up with Australia. It’s all a bit like wanting your kids to be more like the ‘nice’ ones across the road – a fanciful idea that’s never going to actually happen. 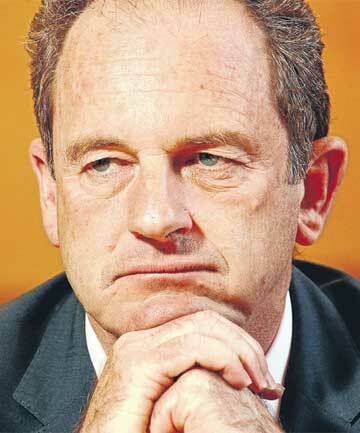 Now Labour’s newish leader David Shearer reckons Finland is the country we should be mimicking. I don’t want to start another Gerry Brownlee-type, international diplomatic incident by having a pop at Finland, but the only Finns David Shearer and the Labour Party should be promoting are the Te Awamutu-raised Tim and Neil and their musical endeavours. While David Shearer may view New Zealand ‘going on’ relying on our primary products to earn a living as a major problem, I certainly don’t. While exporting the world’s best milk, meat and other primary produce may not seem quite as trendy or de rigeur in social democrat circles as producing mobile phones; the fact is New Zealand is good at it and the world is crying out for our primary products. Despite all this political rhetoric about change, New Zealand remains a world leading agricultural producer and exporter. And as a country – including our politicians – should be proud of and celebrating this fact. Instead of looking at changing this, they should be investigating how we can do it even better. They only have to look at the latest economic analysis of the value of pasture-based industries for the Pastoral Renewal Charitable Trust by Business and Economic Research Limited (BERL) to see the vital contribution and continuing growth of the primary sector to New Zealand’s economic growth. Naysayers, like Shearer, who bemoan New Zealand’s reliance on the primary sector for its economic well-being, need to read the BERL report. It points out how the farm-gate value of dairy, sheep and beef products grew by 58% – from $10.2 billion in the 2006/2007 season – to $16.3 billion in the 2010/2011 season. It also shows that if farmers can increase the quality and management of their pasture crop, pastoral farming can make an even greater contribution to New Zealand’s GDP – and deliver higher farm incomes and more jobs. In fact, the analysis concluded that sustained investment in pasture renewal has the potential to increase the farm gate value of pastoral products from $16 billion per annum to $19 billion and boost direct and indirect full-time employment associated with pastoral farming from 334,000 jobs to 390,000. These are impressive growth figures in any language – including Finnish! No one would disagree with the idea of diversifying our economy and increasing our productive base. However, as Federated Farmer’s president Bruce Wills says any technology success in New Zealand is more likely to be in specialised manufacturing and information technology linked to agriculture. Instead of politicians trotting out diversifying New Zealand away from agriculture as the next ‘big idea’; they should look at how they can implement policies to make the sector even more productive. ‘You’re so sadly neglected, And often ignored, A poor second to Belgium, When going abroad’. So let’s leave Finland to do what she is good at – bear hunting and making Nokia phones. And concentrate on what New Zealand is good at – farming!